Choose The Right Water Heater for You! How much hot water does it have to produce at any given time? Am I willing to upgrade to a higher efficiency unit in order to save money in the long run, even though the initial cost may be higher? Am I able to change to a tankless water heater system? After deciding on these factors, Dee Maria Plumbing’s experienced service technicians can repair or replace your old water heater, or install an entirely new system that meets your needs and your home or building’s specifications, ensuring you efficiency, reliability and long lasting value. Dee Maria Plumbing offers same-day replacement of water heaters if necessary. 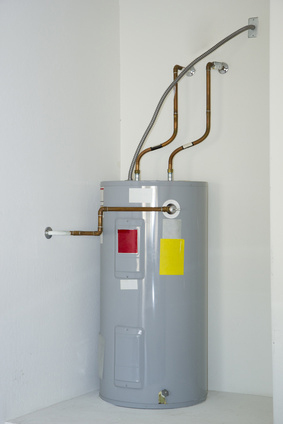 After removing your old water heater from your home or commercial building, we dispose of it at the proper facility.